The use of cosmetics dates back 12,000 years ago, when the beneficial properties of essential oils were discovered in ancient Egypt. Since then, cosmetics have been integrated as an important part of religious rituals. Initially reserved only to the upper classes of society, being a sign of welfare, cosmetics were used by both women and men. Even if some of the ingredients used in cosmetics were toxic, they did not lose their attraction, and even started to be used in other parts of the world, such as Rome or Greece. In Rome, for example, women were not considered beautiful if they were not using cosmetics, which led to an exaggerated increase in prices for these products. This was the first step in the development of the beauty industry. In Japan, the role of cosmetics was increased even further, as noble women were not allowed to walk outside their home without using cosmetics all over their bodies. Although they were expensive, this was not the only reason why poor people wouldn’t use them. It was actually forbidden for them to wear cosmetics. During the European Dark Ages, cosmetics almost disappeared; they were considered a sign of depravity and light morals. Revered people did not wear cosmetics, and this remained valid for several hundreds of years. Even though in France’s court, renowned for luxury and sumptuousness, cosmetics have returned into fashion, in England the use of cosmetics was not seen with good eyes, and this is how things remained until the Victorian period. During the Crusades, the ingredients used in the cosmetics industry became a real commodity. Exotic ingredients, whether flowers, powders, oils, fruit seeds, etc. could easily be considered exchange currency, because they were very valuable. Advances made in the chemistry and pharmacy industry made it possible to use natural ingredients and to develop synthetic ingredients used in the modern beauty industry. 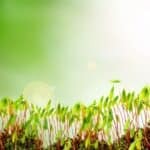 After using several substances that could be potentially toxic for decades, the beauty industry has started to heavily emphasize the use of natural ingredients. Now, people want to use cosmetics that are as safe as possible, which means that there is a high demand for natural ingredients and many small companies or producers have created their own lines of handmade cosmetics, using all natural ingredients. Probably the best known is Lush, but there are also other strong competitors, such as 100% Pure Cosmetics, The Body Shop or Aveeno, to name just a few. Therefore, there is a great opportunity for farmers who focus on growing plants heavily used in the cosmetics industry, not to mention that ecological cultures are high in demand to create natural cosmetics or at least cosmetics using as many natural ingredients as possible. This plant is known mostly for its healing properties and is often used in the pharmaceutical industry, but it can often be found in several cosmetic products as well. Aloe Vera leaves contain a sticky gel extracted from the leaves and yellow latex extracted from the outer layer of the leaves. Aloe Vera contains more than 75 nutrients and 200 other ingredients, including 20 minerals, 18 amino acids and 12 vitamins. Due to its qualities, aloe vera juices and gels are successfully used in cosmetic products with anti-inflammatory, soothing, toning, moisturizing and skin-protective effect: face and body creams, hair care products and natural deodorants. 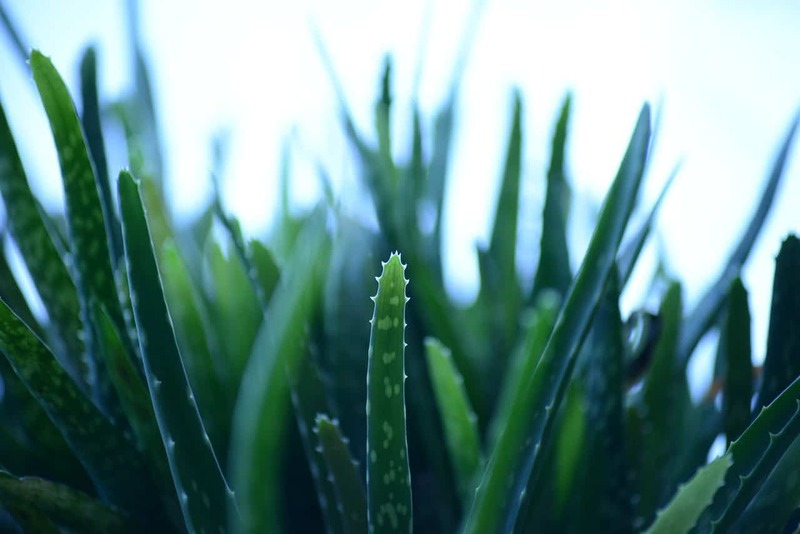 Western Europe hold the first rank in the global aloe vera extracts market, followed by the Asia-Pacific region. In Europe, France is anticipated to have the highest compound and annual growing rate by 2021. The aloe vera market incorporates several different segments, with the aloe vera whole-leaf extracts being the largest segment in 2015. 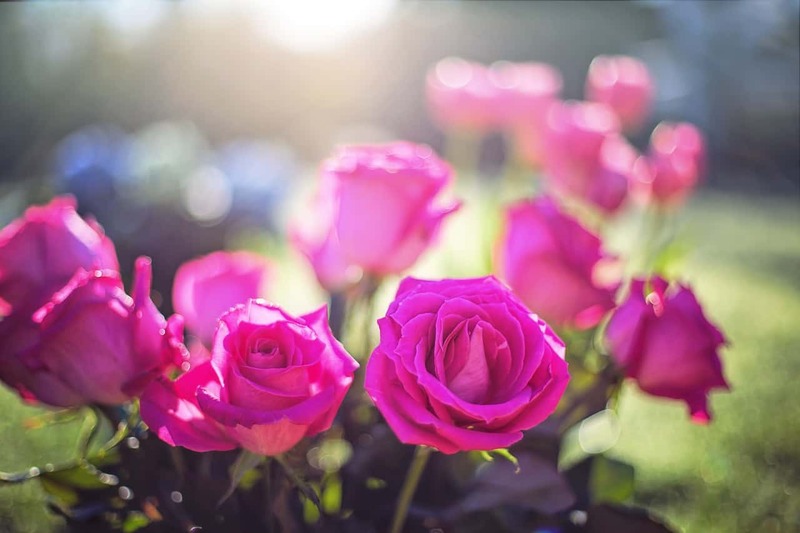 Roses are not only beautiful flowers, available in a large variety of species, but they are also a valuable natural cosmetic ingredient. Especially rose oil is high in vitamin C, with extremely hydrating properties. USA and Australia re the largest exporters of rose oil, according to Europost. The rose oil market is a very profitable one, as the price for one kilogram of rose oil was close to 9,000 euros in 2016. One of the largest exporters in Europe is Bulgaria, where the already famous Bulgarian rose is traditionally grown. Less than 1% of the rose oil produced in Bulgaria remains in the country, the rest being exported to leading cosmetics companies from Germany, Switzerland and France. These roses are used in many fragrances and other products of high-end brands such as Chanel or Dior. Calendula has the reputation of reducing redness and healing up the skin. 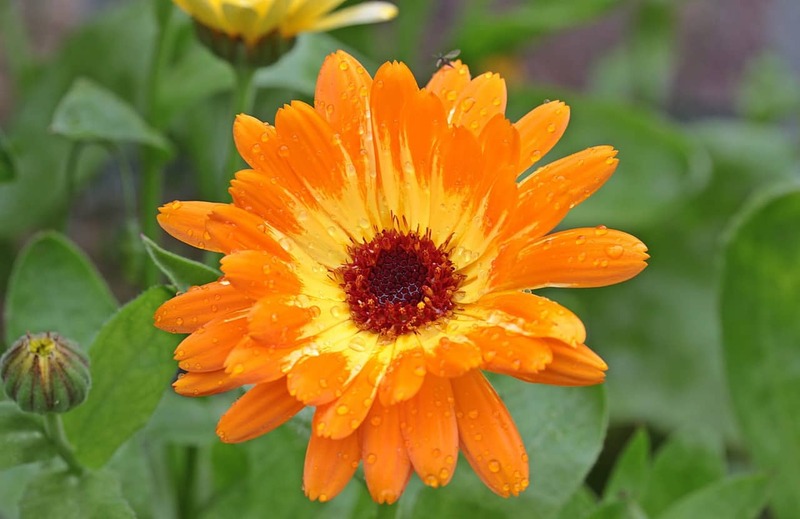 More and more farmers, with smaller farms, choose to cultivate medicinal plants, calendula being among them because they do not require much care and are not pretentious to soil characteristics. 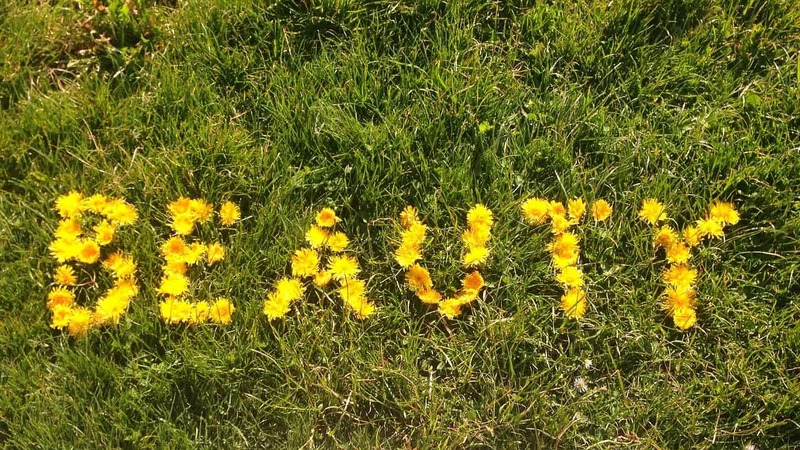 Moreover, calendula has an important demand in the beauty industry, with the largest European selling market being in Germany. Lavender, especially lavender oil is used to moisturize skin. Asides of having a pleasant smell, suitable for many scented products such as perfumes, bath and body care products; lavender also has good antiseptic properties. As a matter of fact, the French Academy of Medicine used it as a disinfectant during the World War II. 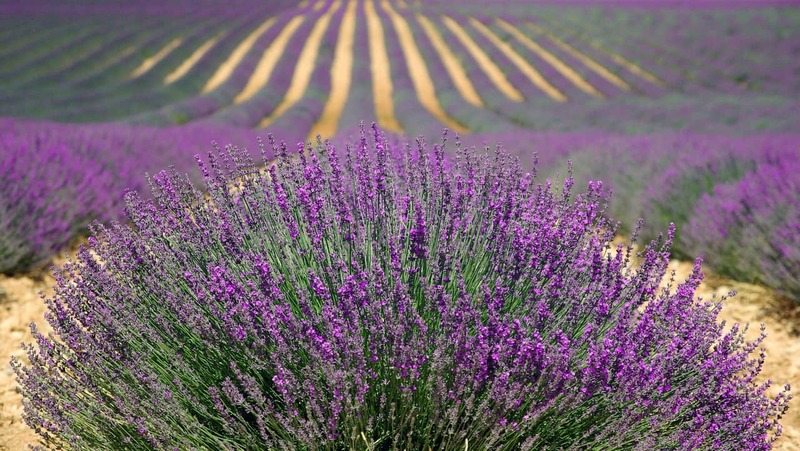 The largest producer of lavender is France, the Provence region being famous for its large lavender fields. More than 30% of the world lavender production comes from France. Prices are constantly increasing on the lavender market, as well as consumer demand, because lavender cultures have faced several difficulties over the last years, mainly due to pests and climate change. Jojoba is often used as an ingredient in face creams, because the oil extracted from the plant has similar properties to the sebum secreted by human skin. It also improves skin elasticity and prevents skin dehydration, making it perfect for sensitive or very dry skin. The jojoba oil market size reached more than 150 million USD in 2015, and is expected to grow even further until 2024. 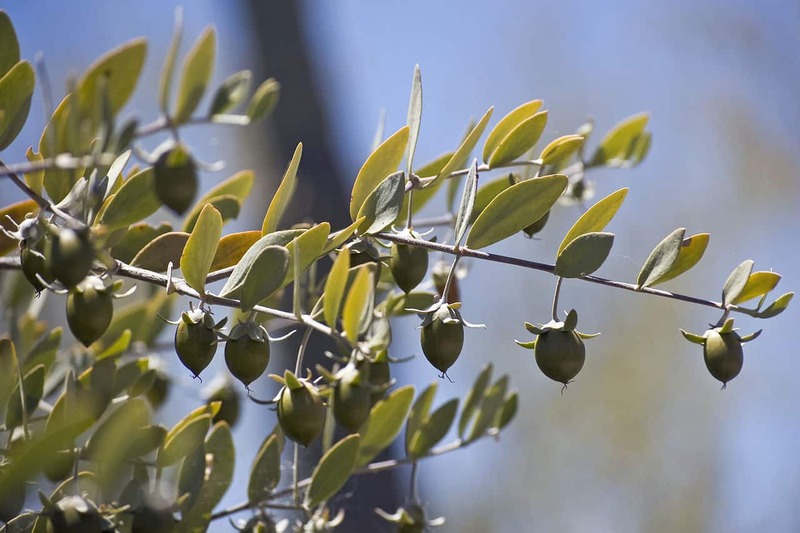 The production of jojoba has increased considerably in Peru, Australia and Argentina, mainly due to consumer demand. The beauty industry is the largest market segment of jojoba oil, accounting for more than 70% of the total profit. The largest market for jojoba oil was North America in 2015, with almost 40% of the global volume, but demand is also stronger in Asia (especially China and India). Tea tree is one of the main ingredients used in cosmetic products aimed to fight against acne and to treat acne prone skin. It’s considered one of the best natural alternatives to chemical substances that are potentially skin irritating. Australia is the leader in world production of tea tree oil. 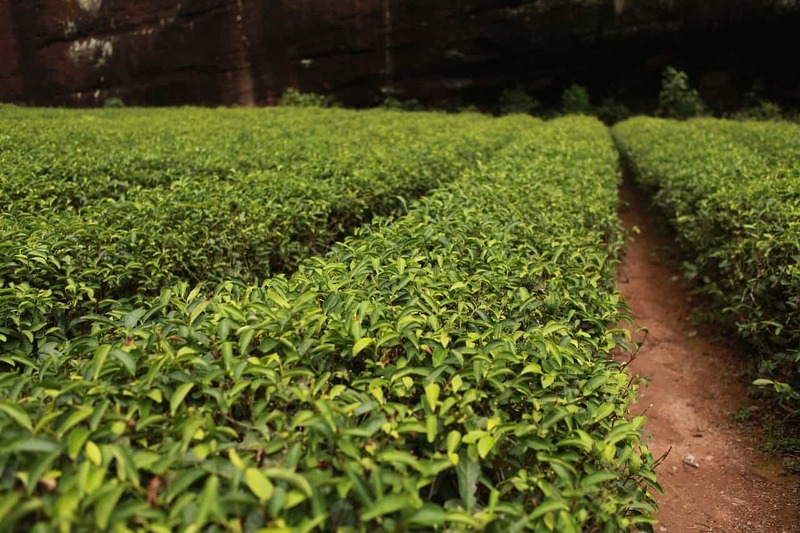 In 2012, more than 400 metric tons of tea tree oil was produced in Australia, from which 80% was exported, mainly to North America. Other markets with high demand were Europe (including UK and Russia), Asia, and smaller exports were made to Africa (Egypt and South Africa) and South America (Chile, Colombia, Brazil). 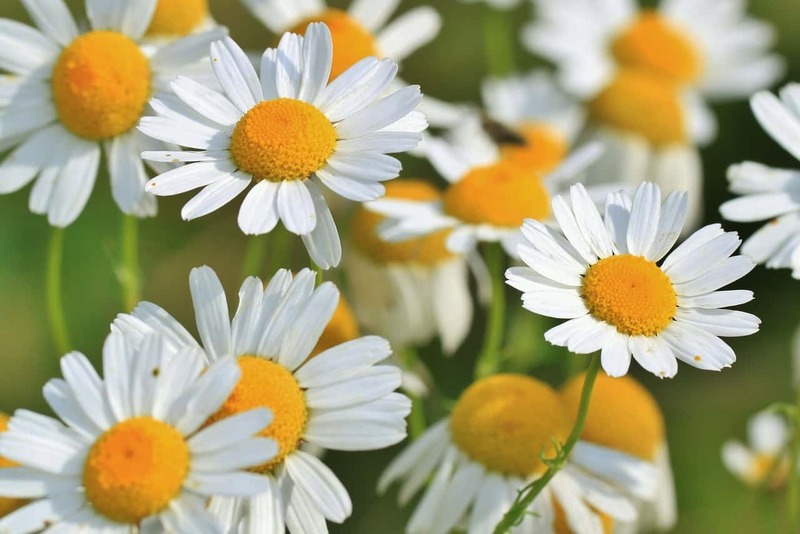 With the most extensive applications in natural cosmetics, chamomile has anti-inflammatory, antiseptic, decongestant, disinfectant, analgesic, emollient and healing properties. Depending on the way they are used, various cosmetic products for skin, neck, hands, hair or feet are obtained from the chamomile flowers or the aerial part of the plant. The highest demand for chamomile seed is in the Asia Pacific region, followed by Europe and North America. This plant is cultivated across Europe, Asia and North American, mainly on smaller farms, because it doesn’t require a lot of maintenance. Chamomile is easy to grow, it’s not sensitive to pest attacks and it easily adapts to various environmental conditions and soil types. 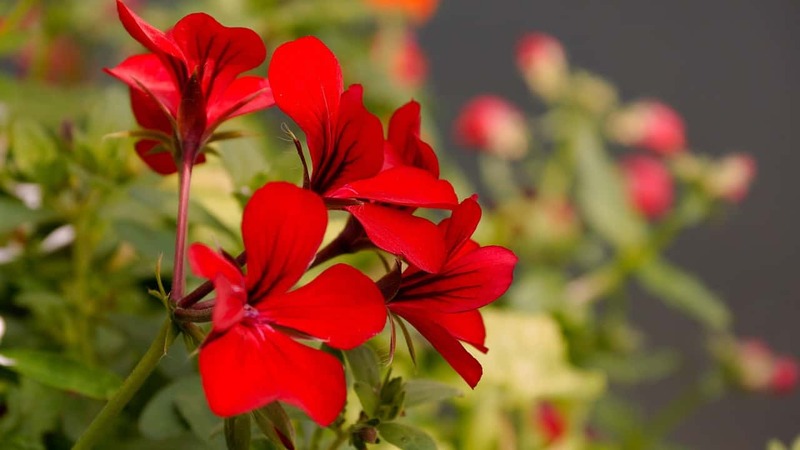 Geranium is not only a popular decorative plant, but also a key ingredient in various cosmetic products, used as oil. Geranium oil has cleansing and toning properties, being helpful for those who have to deal with oily skin, acne and eczema. Geranium oil was originally cultivated in Europe, mainly as a substitute for rose oil, but now it is also produced outside Europe, including in developing countries, because of the high production costs. World market demand for various geranium oils is estimated at 400 tons annually, according to CBI. 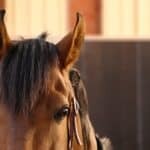 High quality geranium oil is produced mainly in the Reunion Island (10 tons), South Africa and Madagascar. China and Egypt produce significant quantities of lower quality geranium oil. Western European countries, such as France, UK, Spain or Italy are the largest importers of geranium oil. 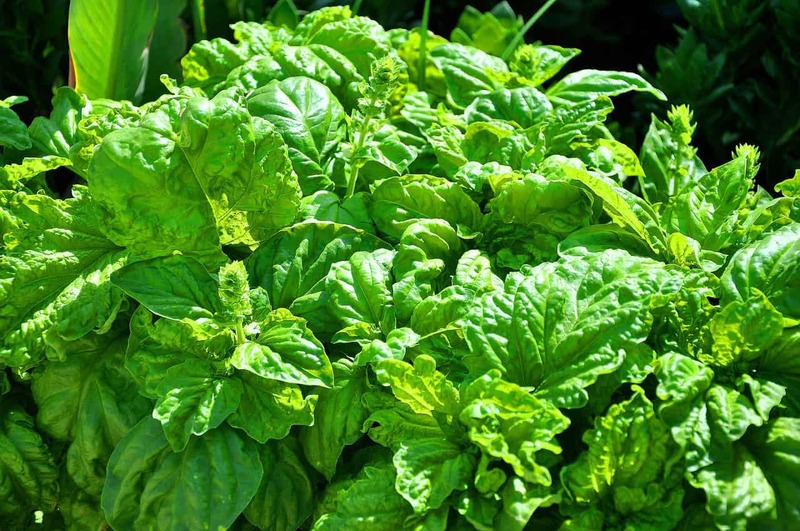 Basil is used as an herb, as a medicinal plant, but also as a cosmetic ingredient. It is used mainly in acne treatments, hair care products, perfumes and several cream and body care products. The sweet linalool basil is used extensively in personal care products, while other varieties of basil are used for medicinal products and in the food and beverage industry. Most basil oil is produced in the Asia Pacific region, where there is also the largest market demand. The demand for basil oil is increasing in North America, due to its wide applications not only in the beauty industry, but also for other industry segments. 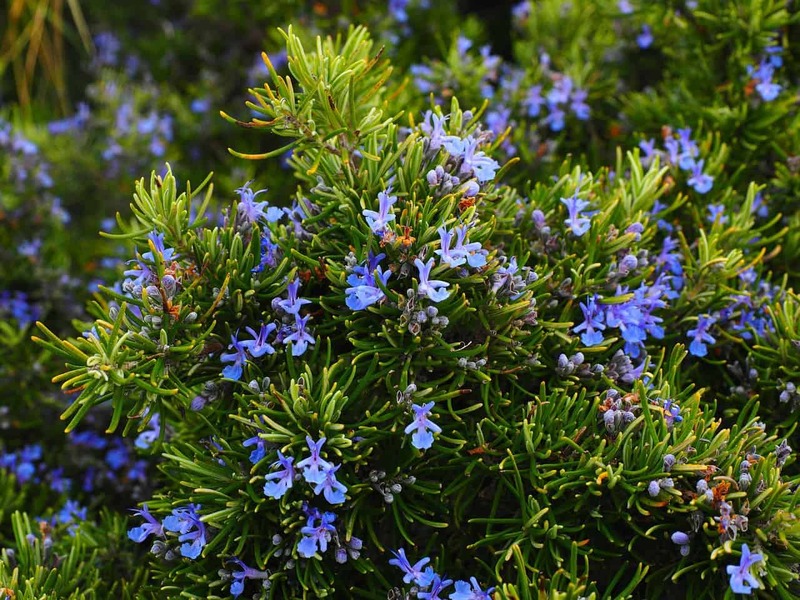 Rosemary has antifungal, anti-inflammatory, antioxidant and antimicrobial properties. It successfully treats alopecia, stimulating hair growth, and acts as a balm, invigorating hair and giving it a healthy look. Tonic and moisturizing properties recommend rosemary oil to reduce fine wrinkles and to treat acne affected skin. Rosemary is a plant that originally grew in the Alps, but now is cultivated in several regions all over the world, for various applications. 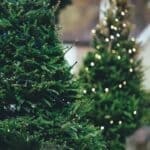 Europe is the main supplier of rosemary, with the highest productions being in Spain and France (it’s also the market with the highest exports and consumption). 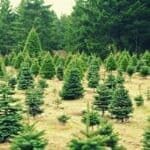 However, North America is expected to emerge as the most lucrative market by 2026, due to the agricultural cultivation of rosemary in the Southwest region. In addition, Turkey, Spain and Morocco are rapidly growing their rosemary productions, due to the favorable climate conditions. The global market of natural and organic care products is expected to be valued at 21,776.9 million US dollars by the end of 2024, with a Compound Annual Growing Rate of 8.8%. North America is the major market for such products, with more 30% of the global share market, but Europe and Asia Pacific are also other two major markets (especially China and India). 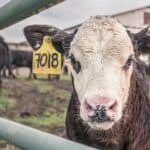 Therefore, it’s safe to say that those interested in specializing in niche farming should consider cultivating plants that are in high demand in the beauty industry, but also in pharmaceuticals.